An aviation Safety Policy is a document in safety management systems that outlines the core, important safety information that underlies your SMS. It is the canon for your SMS. Important safety resources (policies, procedures, accountabilities). Your Safety Policy is part of Phase 2 of SMS Implementation. Completing Phase 2 involves completing your Safety Policy. 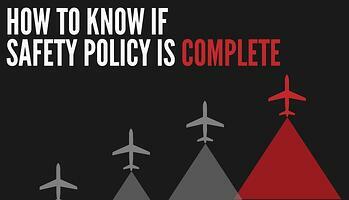 Here are the main ways to know if your aviation Safety Policy is complete. Your Safety Policy should contain all of your company’s commitments to safety. You can have as many commitments as you think necessary for communicating the fact that your organization is dedicated to the safety program. It would be valuable to develop some commitments that are specific to your organization, so that it’s obvious you aren’t simply using generic, boiler plate commitments, and that your commitment is real. Current (short term), specific safety objectives/targets. Long term goals should reflect your commitments to safety to some effect. Long terms goals will not change often. Based on these long-term goals, your Safety Policy should document your short-term objectives that help you reach your long-term goals in the “current time period.” The “current time period” is usually the current year, as many organizations set safety targets on a yearly basis. Hierarchy of safety decision making. A safety org chart can be a single page document or picture that maps the various roles in your SMS. It should resemble a pyramid and be separate for your companies’ operational org chart. Contact information of each role (optional, but good practice). In smaller organizations, it may make sense to put this on your org chart. In larger organizations, it’s simply not feasible to do this, and you will need to document this information in a separate section of your Safety Policy. List safety duties for each role (i.e., safety tasks each role will partake in). This is an extremely important part of your Safety Policy, as it will be the guidelines for how each employee understands the way he/she will be involved in the SMS. Any procedure or policy related to safety should be included in this section of your Safety Policy. Document steps and resources to recover from emergency. You should also periodically test your ERP with emergency drills, and revise your ERP accordingly. 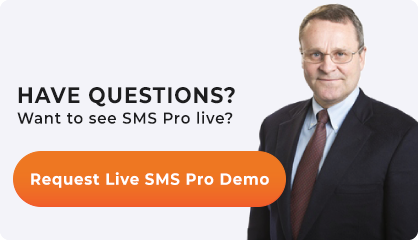 There may be other items you may want to include in your Safety Policy that would be helpful laying the foundation of your SMS. These may be document and other documentable items that are specific to your organization, and relevant to safety.